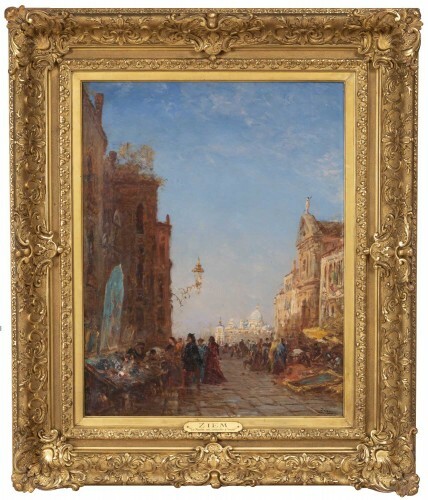 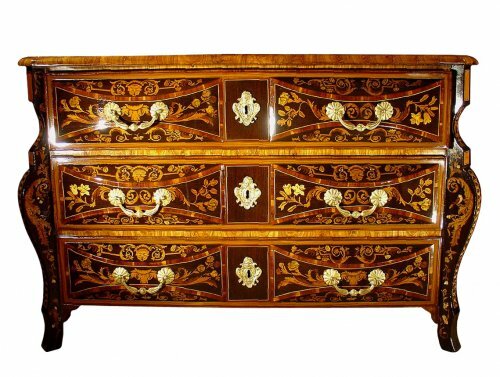 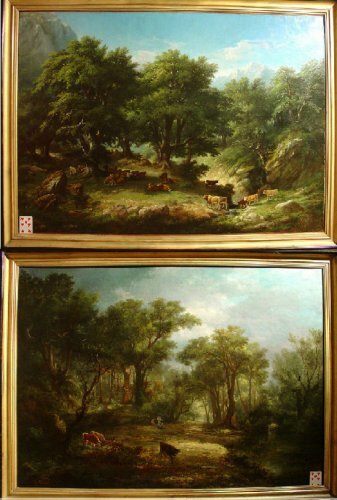 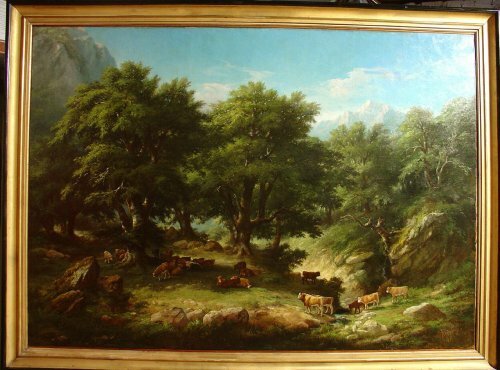 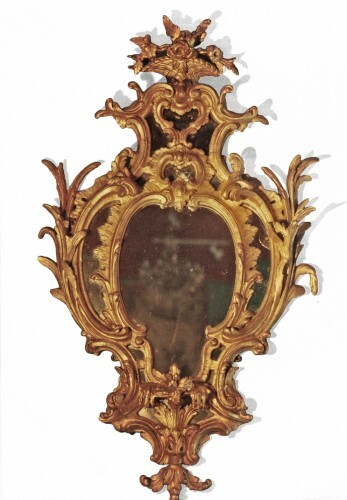 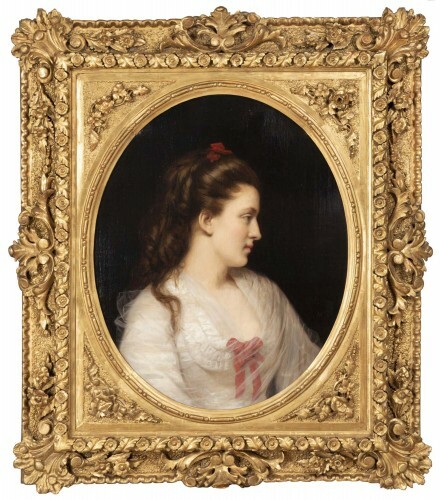 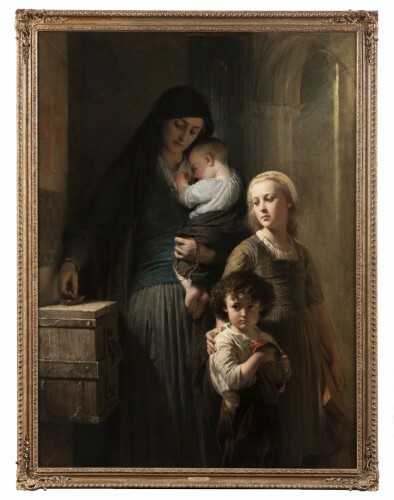 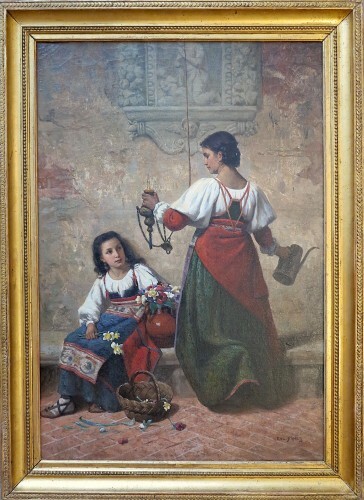 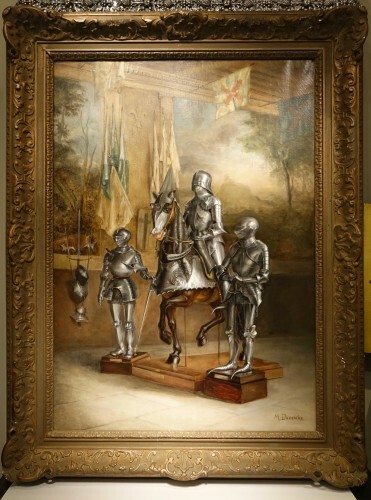 Very large pair of 19th century painting, very decorative, with fresh colors, and perfect quality execution, with original gilded frames. 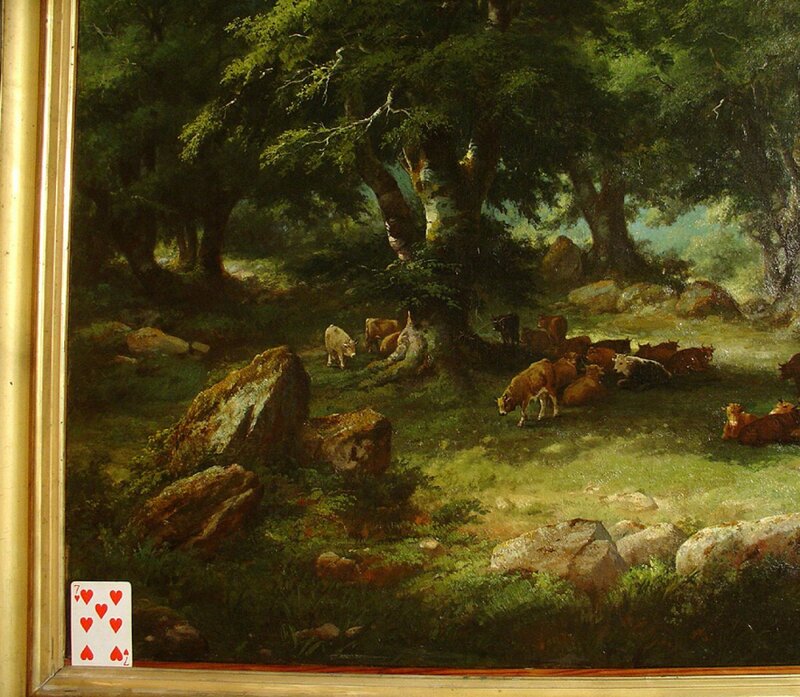 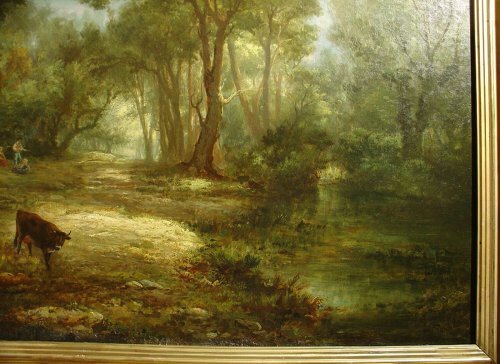 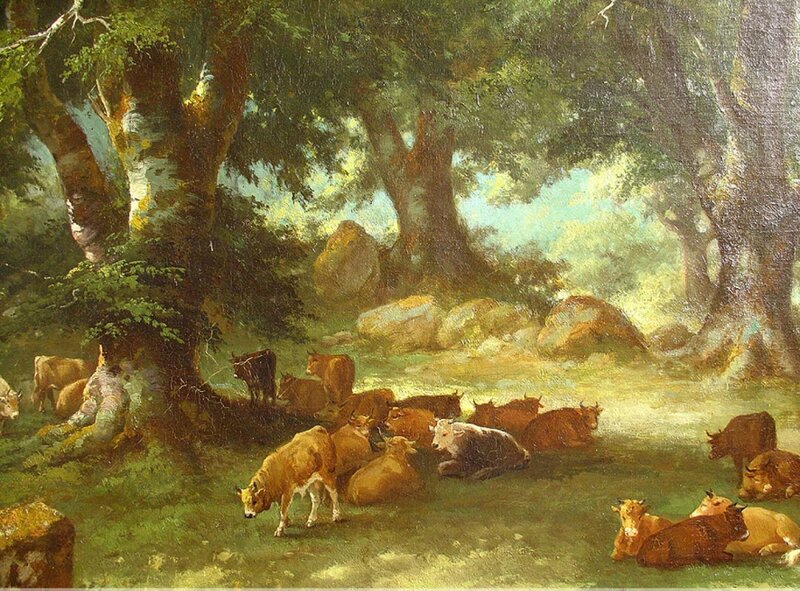 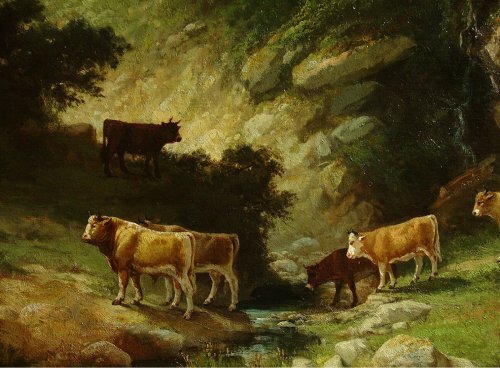 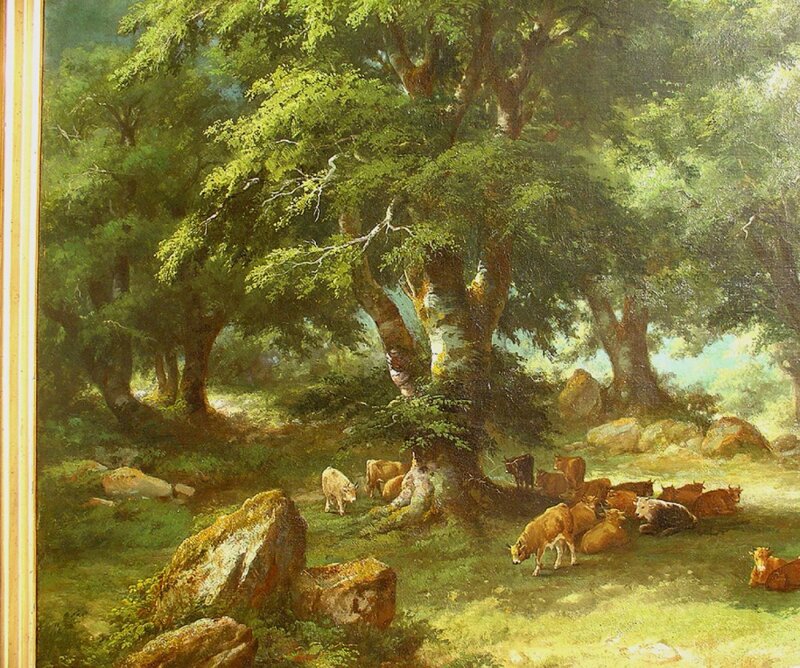 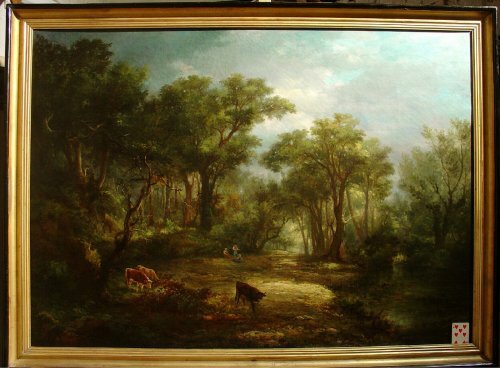 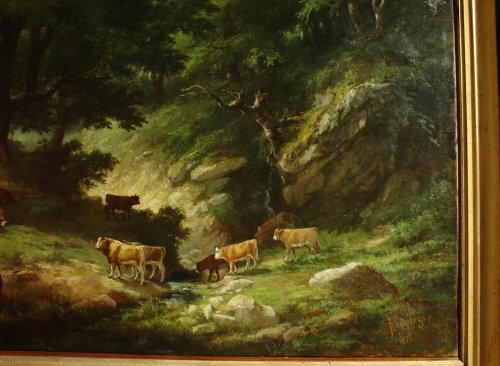 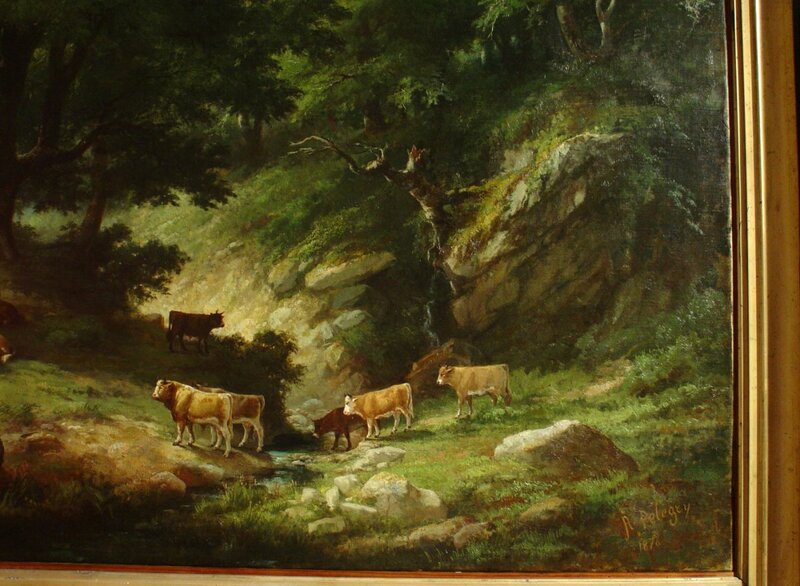 One representing some cows in a clearing , with too seeting women and a fisherman on the bank of a stream through the forest, at right. 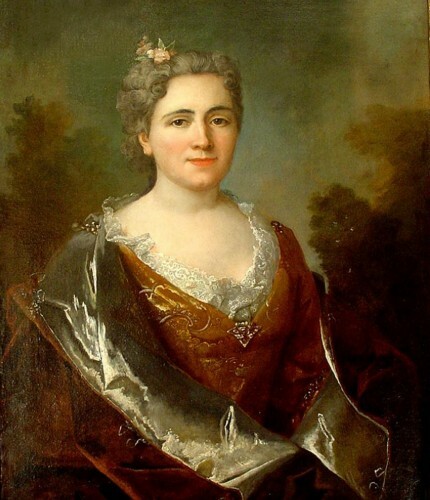 Oil on canvas, in good conditions, some old restorations, canvas mending on the back. 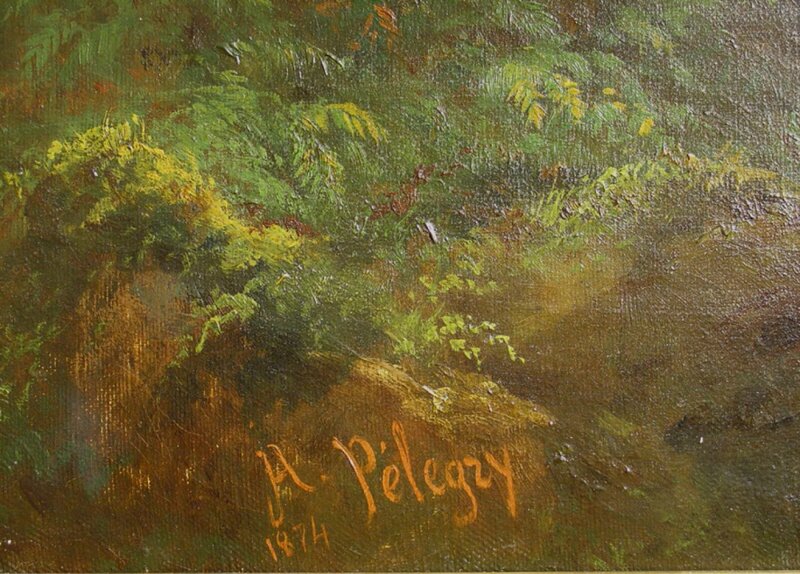 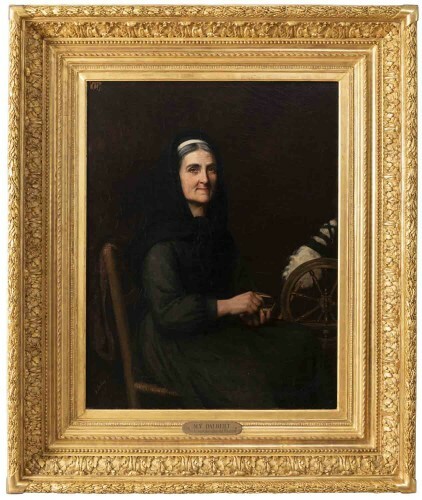 Signed "A. Pélégry" and dated 1874 lower left.